It’s long been presented as an alternative to fake fiat currencies like the Federal Reserve Note (often referred to as the “dollar”) because there’s a limited amount of it and it’s completely decentralized with no involvement from central banks. 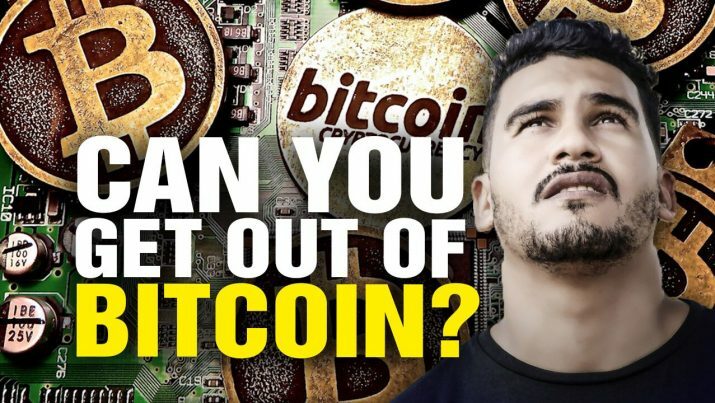 But the popular online “cryptocurrency” known as Bitcoin may just be another form of fiat currency that’s taken a digital form, says Mike Adams, the Health Ranger, warning that like the dollar, Bitcoin isn’t technically backed by anything, either. Unlike the greenbacks of old, Federal Reserve Notes today are backed by nothing but the public’s trust in them. As long as people believe that currency issued by the private Federal Reserve and loaned to the United States government on interest holds inherent value, then it will hold that value (or some ever-dwindling percentage of that value as inflation creeps on up). Federal Reserve Notes hold no real value whatsoever, of course (other than the ink and paper they’re printed on), but as long as people think they do, then all continues as normal. Well, it’s much the same for Bitcoin, which isn’t actually a real coin but rather a “blockchain” entry that holds a value relative to how many Bitcoins have been “mined,” and how much people are willing to pay to trade them. The idea is that Bitcoin will be limited in number – the original claim was 21 million Bitcoins total – that are to be traded on a peer-to-peer basis with no central bank. This would, in essence, created a limited amount of them that would eventually stabilize into some real, tangible value at some future date. But the way that Bitcoins seem to be operating in today’s reality, says Adams, is that they’re viewed more as a speculative investment than a fixed currency. People are gambling on the notion that they might be able to get rich quickly by buying and selling Bitcoins, the price of which has been exceptionally volatile in recent months. Adams insists that because Bitcoin isn’t backed by gold that it’s not necessarily superior to other cryptocurrencies like Ethereum or Z-cash, which are two other types of cryptocurrencies that are bought and traded online. Many people who’ve been jumping on the cryptocurrency bandwagon don’t understand the real risks involved with purchasing Bitcoins as a store of value, which could lead some of them towards financial ruin. A Bitcoin correction could thus be on the way, which may result in a drastic decrease in the perceived value of Bitcoin. Those who thought it was just going to be on the up and up will be unpleasantly surprised, should this correction occur, to learn that they’ve lost potentially large sums of money on their speculative investment – a scenario of which they need to be keenly aware.